Likely the only members of the bridal party that will get just as much attention (if not more) than the bride and groom are the flower girls and junior bridesmaids. The youngest of the group, all eyes will be on them as they create a path for the bride to walk down and meet her groom. 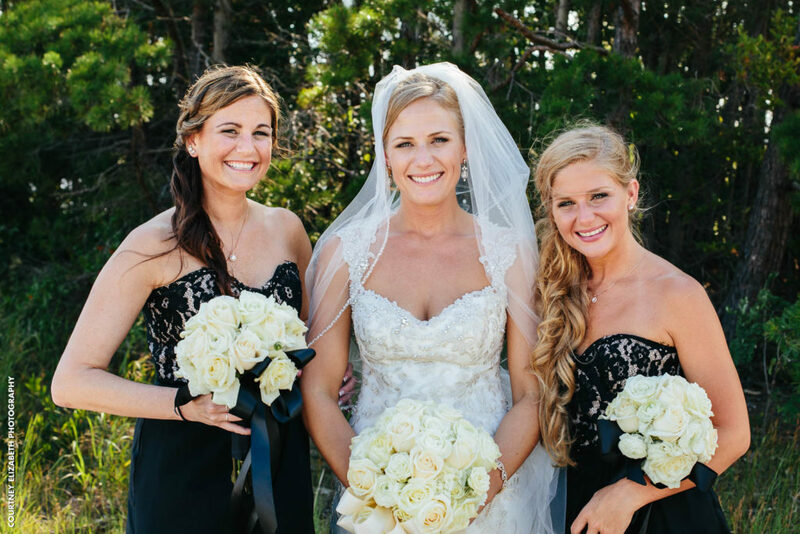 With such an important role, finding them the perfect dress is a top priority. 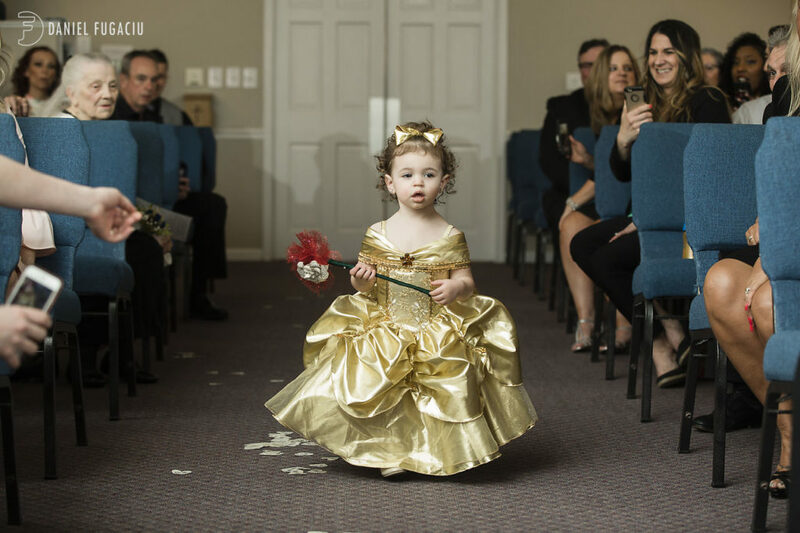 When it comes to selecting flower girl and junior bridesmaid dresses, the idea is to find something age-appropriate that allows them to stand out as the little princesses they are. One approach that has been used by brides for years is to have the younger members of the bridal party wear all white like the bride. 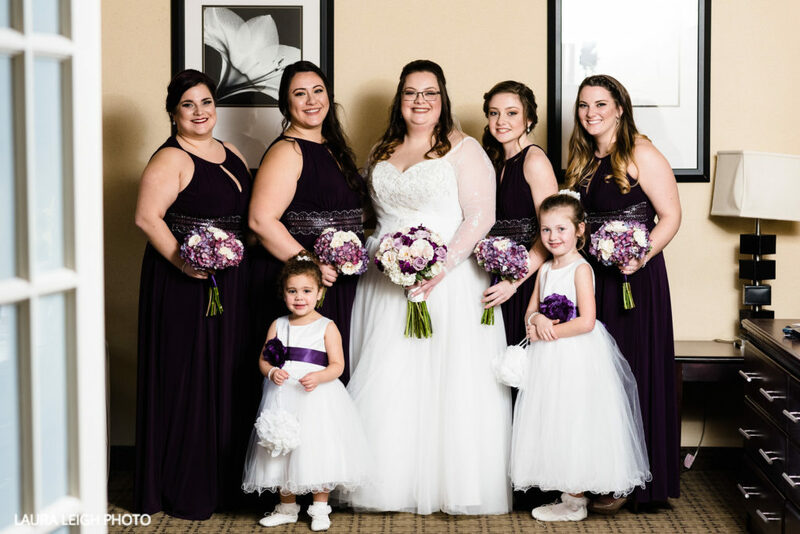 Their dresses are significantly different from other bridesmaids and instead stands to resemble a wedding gown. 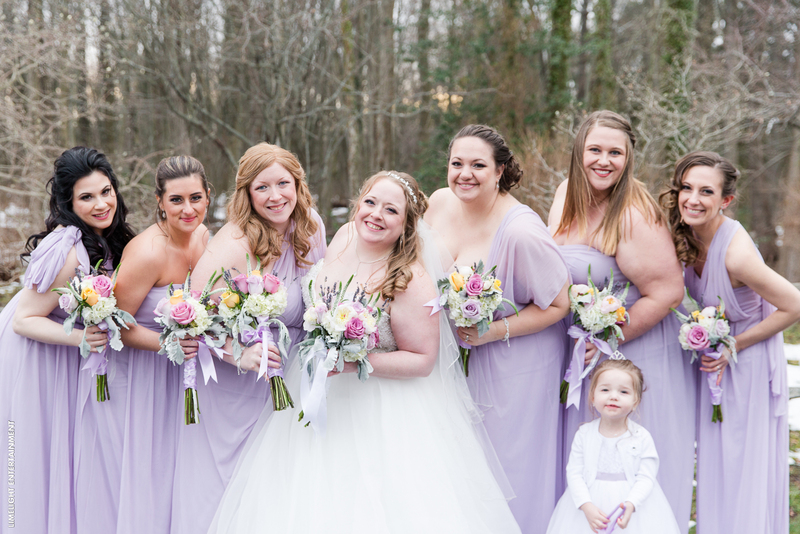 If you’d prefer to be the only woman in white on your wedding day, there are still plenty of ways to choose flower girl and junior bridesmaid dresses that stand out from the rest of your bridal party. Opting for a stand-alone color, for example, is another cute idea. 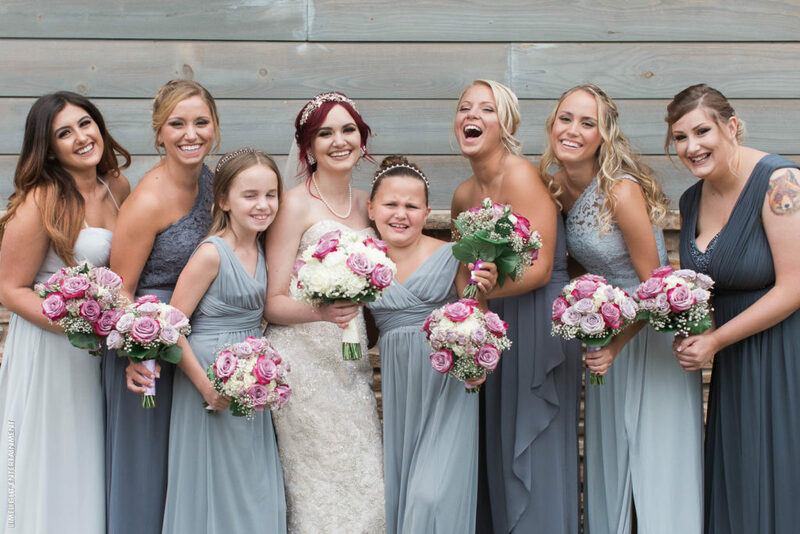 As you can see from the example above, the flower girls wore a soft pink in relation to the deep burgundy the bridesmaids wore. 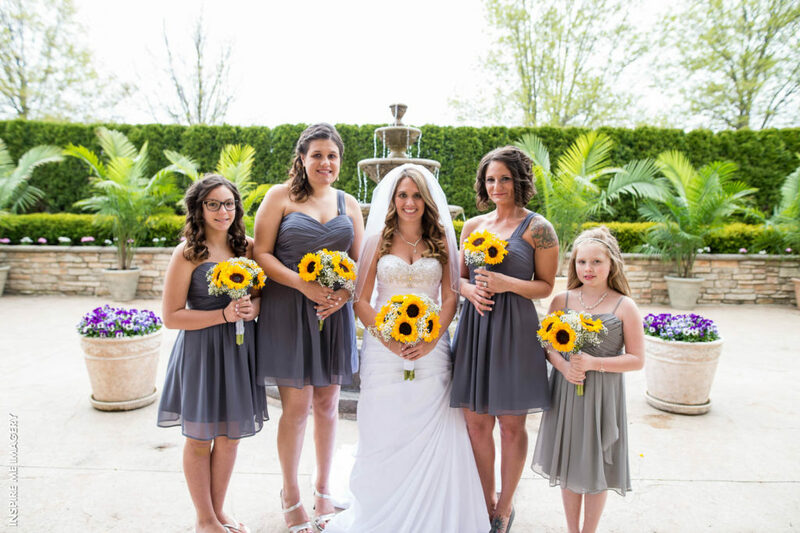 Many bridesmaids dresses can be purchased in smaller sizes to fit junior bridesmaids. 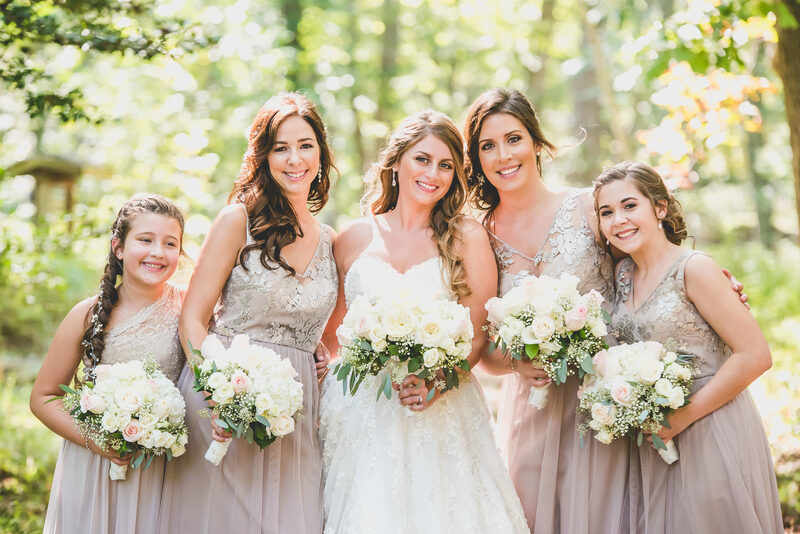 If you have chosen a dress style that you believe is appropriate for your teenager or pre-teen, you can have them wear the same dress as the rest of your bridesmaids. If you want them to match, but prefer they be dressed in something more age-appropriate, there is also an option to choose a dress that’s the same color but a different style. 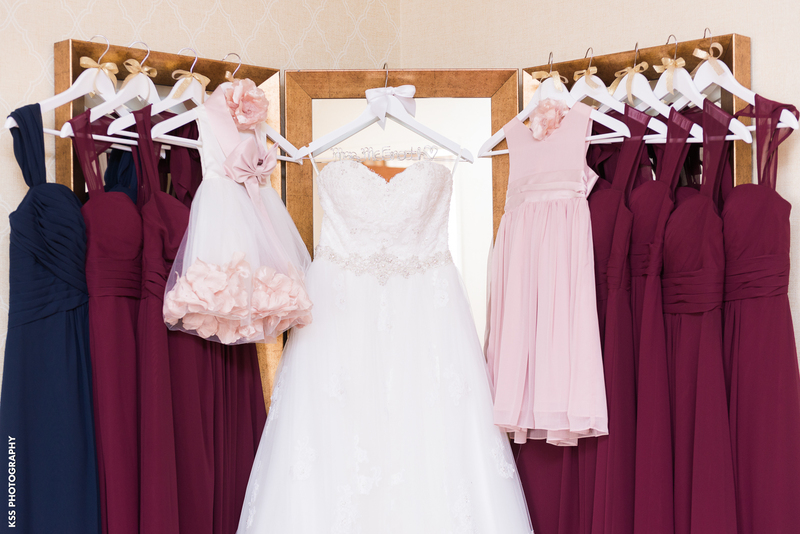 There are quite a few options for finding the perfect dress for your flower girls and/or junior bridesmaids. 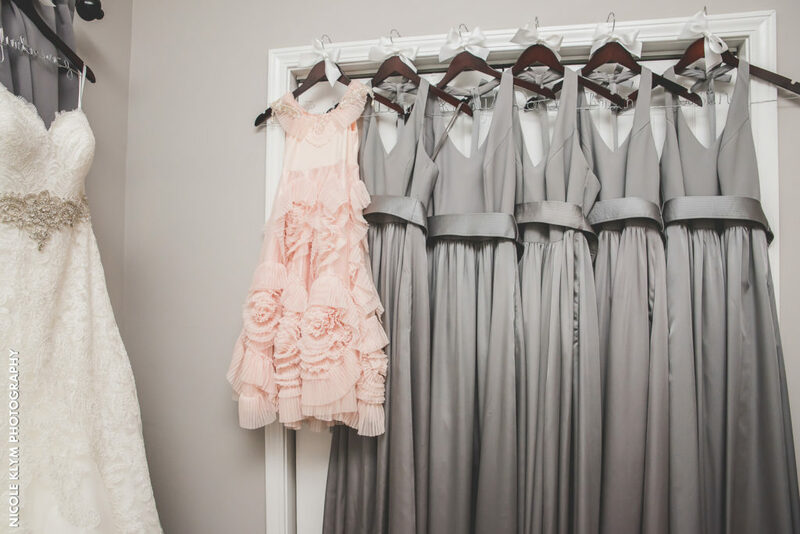 Whether you want them to match the bride, resemble the rest of the bridesmaids, or stand out on their own, there are a ton of dress styles to choose from. Once you’ve decided on the concept of the dresses, invite the little ones along to shop with you to ensure that you’ve chosen a dress style that will suit them best.